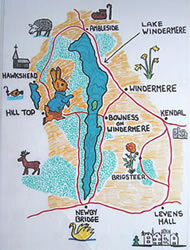 This page is a brief visitor's guide to Windermere and the central/southern area of the Lake District (a beautiful National Park in north-west England). 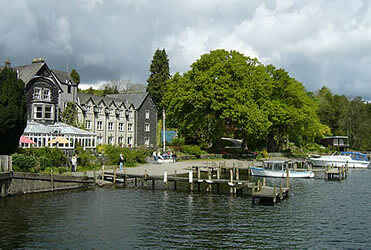 The most popular places to stay in this area are at Windermere, Bowness or Ambleside. 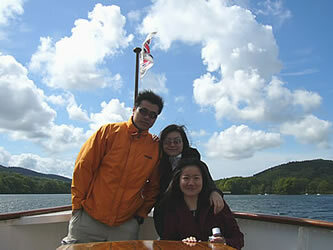 Windermere Lake Cruises offers frequent boat services on Windermere. 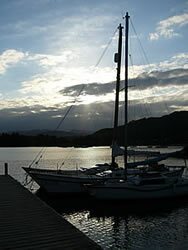 The main places to board a boat is at Bowness (a short walk or bus ride from Windermere). 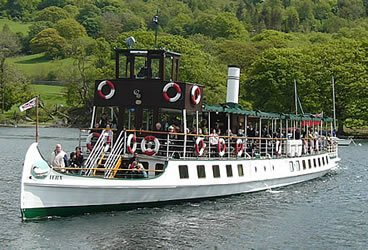 Cruise boats travel to/from Waterhead (near Ambleside, to the north of the lake) or Lakeside (to the south of the lake). 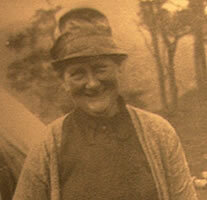 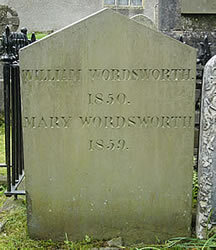 The Lake District is where the writer Beatrix Potter lived. 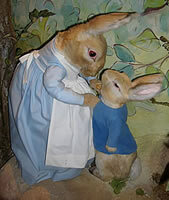 She wrote and illustrated a series of children's stories, the most famous of which is "The Tale of Peter Rabbit", published in 1902. 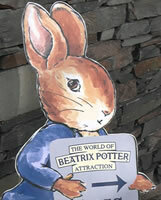 There is a World of Peter Rabbit exhibition in Bowness, as well as a shop dedicated to Peter Rabbit books and products. 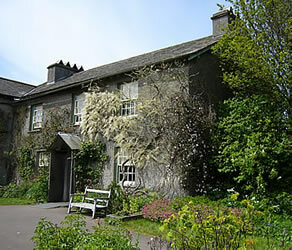 If you are interested in Beatrix Potter, you may like to visit the house where she lived. 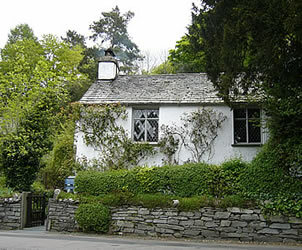 The name of the house is Hill Top, and this is in a small village on the west side of the lake called Near Sawrey. 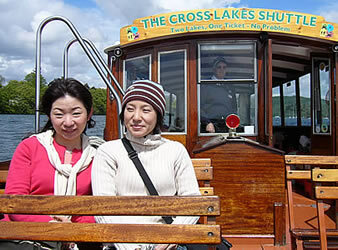 To get there from Bowness, take the Cross Lakes shuttle boat to Ferry Landing and then a connecting bus service up to the village. 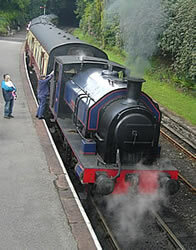 Hill Top is managed by the National Trust. 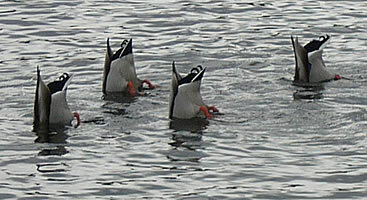 If you have time you can enjoy a pleasant walk back to the ferry. 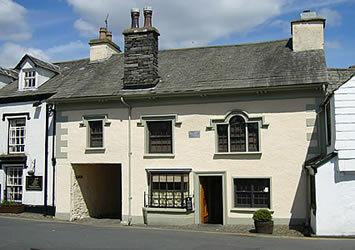 There is a collection of Beatrix Potter's sketches and watercolours in the Beatrix Potter at Hawkshead (a village not far from Hill Top). 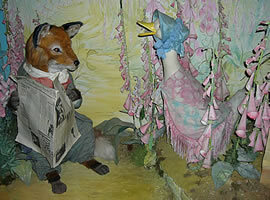 This is managed by the National Trust. 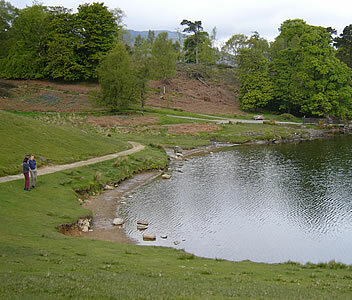 Tarn Hows is near Conniston, a little further west than Hawkshead. 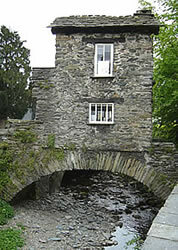 At the north of Windermere is the town of Ambleside. 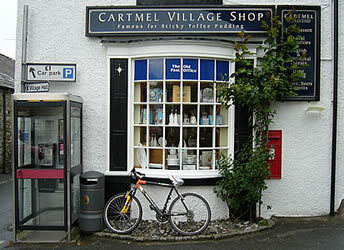 This is a popular base for walkers: there are many outdoor equipment shops here. 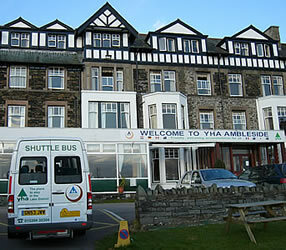 A short walk from the town (at Waterhead) is a youth hostel located beside the lake: a shuttle bus runs from here to the train station at Windermere (connecting with the main train services). 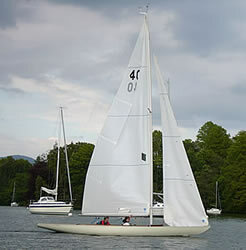 "Diversely beautiful, the Lake District mixes soft green dales, cobbled towns, stark mountains and mirror-surfaced lakes. 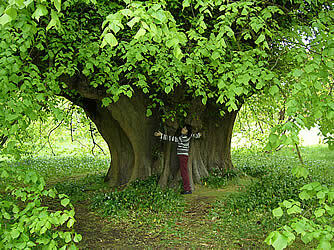 An incredible variety of breathtaking scenery is crammed into a small area ... 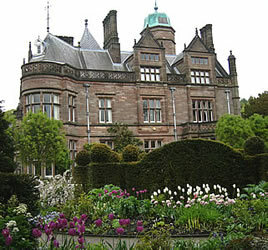 Unfortunately, many others have spotted its attractions, and there are an estimated 14 million annual visitors ... Avoid the most touristed areas from mid-July to August and on bank holiday weekends if you can. 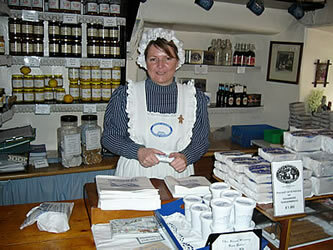 May, June, September and October are good times to visit, and the westernmost lakes are never so busy"